For Christians struggling to be faithful to God’s revelation given in Scripture, the modern world seems to be an unending series of seemingly intractable challenges. Despite great difficulties, enormous evils of the past have been overcome in God’s providence. In our own day, the seemingly permanent and progressing threat of communism collapsed suddenly from within. A reasonable expectation, given that right-wing totalitarianism and the old monarchies of Europe perished in the world wars before that, was that the future was open to both Christianity and democracy. But this has not been the case. The Cold War, a “war without fighting,” originally a struggle to advance communism despite Russia’s weakened post-war condition, has been followed by the “culture war,” in which the hard left of today hopes to realize the goal of “liberation” from what its ideologies designate as “oppression,” despite the collapse of communism. The leftist groups that opposed America’s war effort in Vietnam, and later went on to oppose resistance to communist penetration into Central America, were active in a world in which Marxism was advancing from the old communist world of eastern Europe and east Asia into Africa and the western hemisphere. They were also making advances with public opinion in western Europe and America during the “nuclear freeze” movement of the 1980s, and could reasonably have expected an international Soviet hegemony in which secularizing and collectivizing political and social changes could be forced on the western world. And then the Soviet Union disappeared. The leftist answer to this has been the ideological use of law. Decisive in the civil rights movement, at least to its near term implementation, was the use of federal courts to override Southern opposition to the movement’s goal of racial integration. The importance of judicial activism can be exaggerated; it was Congress that enacted the Civil Rights Act of 1964, the Voting Rights Act of 1965, and other civil rights legislation. But another project, never really accepted by the American public, has been judicially enforced secularization, with the Supreme Court reading into the Constitution its doctrine of America as a secular rather than Christian state. These experiences have left “progressives” convinced that “enlightened” authority can force social change that the public will eventually accept, and to use law, both national and international, as the key to prevailing over traditional religious belief and practice and majority democracy. In American courts, the interpretation of the Constitution through the lens of the liberationist ideologies of the left (feminism, homosexual liberation, secularism) has been the basis of ideological jurisprudence. In the world at large, a human rights regime, enforced by human rights commissions has been enlisted to give leftist ideologies teeth, overruling state sovereignty and classical liberal freedoms. Ultimately this regime derives from the 1948 U.N. Declaration of Universal Human Rights, which while it goes beyond the fundamental freedoms of religion, speech, association, and due process, more basically seems to attempt to require the government to guarantee a quality of life, as shown by the right to leisure (Article 24), standard of living (Article 25), education (Article 26), education for “full development of the human personality,” and education in human rights (Article 26). High sounding but with ominous implications, Article 28 asserts that there should be a world order to realize human rights, while Article 30 asserts that there is no freedom to oppose human rights as the declaration defines them. 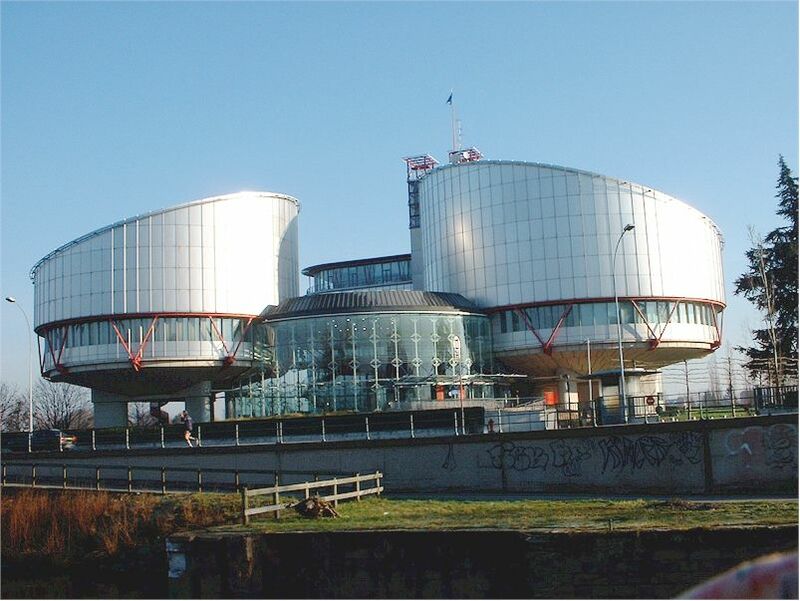 Human rights commissions now exist in many countries, but in terms of advancing leftist ideologies against traditional religious commitments, the European Court of Human Rights and Canada’s national and provincial commissions have received the most notoriety. The former prohibited crucifixes in Italian schools in 2009, reversing its decision in 2011 by defining the cross as a symbol of inclusion, while generally disallowing conscience protection in cases pertaining to sexual morality and the education of children. Canadian human rights commissions are famous for denying religious freedom and free speech protections to Christians, as Canada’s LifeSiteNews.com has reported. In the European Union, the ECHR’s decisions are now accepted as overriding both state sovereignty and majority democracy, and it can engage in leftist ideological jurisprudence which is as supreme and final as that of the U.S. Supreme Court. This is a radical shift in the meaning of international law from rules that govern the relation between sovereign states to a global legal culture binding on individuals and superior to domestic law. What threatens at this point is the use of international treaties and U.N. conventions by national courts to overrule national constitutions and national laws. Several important international instruments that can be used to impose socially liberal rules on an unwilling nation state or an unwilling majority will be discussed in a subsequent posting. Conservatives in the United States have bemoaned judicial activism for more than a generation. Rather than this political situation being turned around, it appears that ideologically based jurisprudence and judicial supremacy has been exported to Europe and the world at large. But at this time in the western world, in addition to prayer and argument in the public square, it falls to Christians in obedience to God not to comply with secularist demands that we compromise our faith and practice, and take penalties of noncompliance. The fact that we are now being asked to render to Caesar things that belong to God in the name of freedom does not mean it is not persecution, or make our duty to God any less. I used to mock my conservative friends and their conspiracies of one-world government. I’m not so skeptical any more. The elites haven’t (so far) imposed one government on the entire world, but they’ve succeeded in imposing their anti-religion ideology on Europe, Canada, and, increasingly, in the US. If the whole world ends up under the thumb of the same ideology, it won’t matter much whether we still maintain national sovereignties or not. Of course, the $64 question is, which will triumph: this God-free ideology with its sidelining of religions, or the Allah religion, which also works to sideline other religions? Either way, doesn’t look good for Christians.